Yesterday the Office of the Inspector General (OIG) issued an Open Letter to Health Care Providers making several changes to the Self-Dislcosure Protocol relating to the physician self referral law or Stark Law. The OIG indicates in the letter that they are no longer going to accept under the self disclosure protocol pure Stark related liability issues. Instead the disclosure must have some type of colorable anti-kickback violation associated with the disclosure. Also, the OIG has established a new floor of $50,000 for settlement of kickback related submissions. The letter indicates that the OIG is realigning its resources to go after larger violators of the Stark and anti-kickback laws. Inferences can be drawn from the letter that the OIG is not concerned with pure Stark related violations - but the OIG adds caution by stating that providers are not to draw any inferences about the Government's approach to enforcement of the physician self-referral law." For more information check out the OIG's fraud prevention and detection resources. This Open Letter refines the OIG’s Self-Disclosure Protocol (SDP) to build upon the initiative announced in my April 24, 2006, Open Letter. The 2006 Open Letter promoted the use of the SDP to resolve matters giving rise to civil monetary penalty (CMP) liability under both the anti-kickback statute and the physician self-referral (“Stark”) law. As part of our ongoing efforts to evaluate and prioritize our work, these refinements aim to focus our resources on kickbacks intended to induce or reward a physician’s referrals. Kickbacks pose a serious risk to the integrity of the health care system, and deterring kickbacks remains a high priority for OIG. To more effectively fulfill our mission and allocate our resources, we are narrowing the SDP’s scope regarding the physician self-referral law. OIG will no longer accept disclosure of a matter that involves only liability under the physician self-referral law in the absence of a colorable anti-kickback statute violation. We will continue to accept providers into the SDP when the disclosed conduct involves colorable violations of the anti-kickback statute, whether or not it also involves colorable violations of the physician self-referral law. Although we are narrowing the scope of the SDP for resources purposes, we urge providers not to draw any inferences about the Government’s approach to enforcement of the physician self-referral law. To better allocate provider and OIG resources in addressing kickback issues through the SDP, we are also establishing a minimum settlement amount. For kickback-related submissions accepted into the SDP following the date of this letter, we will require a minimum $50,000 settlement amount to resolve the matter. This minimum settlement amount is consistent with OIG’s statutory authority to impose a penalty of up to $50,000 for each kickback and an assessment of up to three times the total remuneration. See 42 U.S.C. § 1320a-7a(a)(7). We will continue to analyze the facts and circumstances of each disclosure to determine the appropriate settlement amount consistent with our practice, stated in the 2006 Open Letter, of generally resolving the matter near the lower end of the damages continuum, i.e., a multiplier of the value of the financial benefit conferred. These refinements to OIG’s SDP are part of our ongoing efforts to develop the SDP as an efficient and fair mechanism for providers to work with OIG collaboratively. Further information about our SDP can be found at: http://oig.hhs.gov/fraud/selfdisclosure.asp. I look forward to continuing our joint efforts to promote compliance and protect the Federal health care programs and their beneficiaries. Various news sources report today that David Blumenthal, MD, former Harvard Medical School professor, has been selected by the Obama administration to lead the Office of the National Coordinator for Health Information Technology (ONC). HHS press release provides additional detail on Dr. Blumenthal. Thanks to John Halamka for the tip who writes about Dr. Blumenthal in his post, "Hail to the IT Chief." Congratulations to my partner, Tom Flaherty, who was selected as Best Lawyers' 2009 West Virginia Litigator of the Year. A well deserved honor. Tom is a straightforward and hardworking defense litigator who does an incredible job representing the best interests of his clients. This past year he was involved in various high profile and important cases, including successfully leading a team of FSB lawyers to secure a settlement in the case against former West Virginia University football coach, Rich Rodriguez. In all, seven Flaherty, Sensabaugh & Bonasso, PLLC lawyers were selected by their peers as 2009 Best Lawyers in America. See the complete list of those honored in my prior post, FSB: Best Lawyers in America 2009. Best Lawyers, the oldest and most respected peer-review publication in the legal profession, has named Thomas V. Flaherty as the “West Virginia Best Lawyers Personal Injury Litigator of the Year” for 2009. After more than a quarter of a century in publication, Best Lawyers is designating “Lawyers of the Year” in high-profile legal specialties in large legal communities. Best Lawyers compiles its lists of outstanding attorneys by conducting exhaustive peer-review surveys in which thousands of leading lawyers confidentially evaluate their professional peers. The current, 15th edition of The Best Lawyers in America (2009), is based on more than 2.5 million detailed evaluations of lawyers by other lawyers. John Halamka at Life as a Healthcare CIO provides a good overview of the timeline and deadlines for the health information technology portions under the American Recovery and Reinvestment Act of 2009 (ARRA). UPDATE (3/17/09): John Halamka has also added a summary of Timeline for ARRA Privacy Provisions which was based on work by Markle Foundation and the Center for Democracy and Technology. Ed Bennett at Found In Cache does a wonderful job of giving us a statistical glimpse of the increasing (skyrocketing) use of social media tools (YouTube, Facebook and Twitter) by hospitals across the country. His post, "Hospital Socia Media Stats," gives some interesting statistics into the adoption and growth of social media. To the right is a chart that he includes in the post. Check out the link for more interesting information. For those of you who might not already know - a few months ago Ed started a tracking chart showing the adoption of social media by hospitals. Health Affairs: Take Two Aspirin and Tweet Me . . . The March/April 2009 Issue of Health Affairs concentrates on the topic of Stimulating Health Information Technology. Although I am not a subscriber to Health Affairs the issue looks to have some great articles on health information technology and the current changes in the field. Included in the issues is a report from the field article by Carleen Hawn titled, Take Two Aspirin And Tweet Me In The Morning: How Twitter, Facebook, And Other Social Media Are Reshaping Health Care (pdf version). I had the opportunity to talk with Carleen about some of the interesting legal issues that are starting to appear as a result of the intersection of social media and health care. I was pleasantly surprised to see that she used some of our discussion in the article. The article focuses on a number of health professionals who are on the cutting edge of integrating social media and health 2.0 type concepts into their health care practice and thinking about how social media can have a positive impact on traditional health care industry models. Like others, I found it ironic when Health Affairs first issued the article online that they only made it available behind the firewall (subscription based). An article on social media, openness, transparency, etc. and yet hid it in an old world way. Well, it appears that the editor of Health Affairs does listen to the wisdom of the health crowd because a note is now listed below the article stating "EDITOR'S CHOICE - FREE ACCESS." Thanks to the Health Affairs staff for recognizing the value of providing free access to the article. If you are interested in the article you might find interesting what others are saying about the article -- including e-Patient Dave, Jay Parkinson, MD, Ted Eytan, MD and others. Today's Charleston Gazette features an article by Eric Eyre on a health information technology company located in White Sulphur Springs, West Virginia. EvriChart relocated to West Virginia four years ago and focuses its business on managing health information for hospitals, physicians and other health care providers. John King, COO of the company is a native West Virginia who grew up in Greenbrier County. As a health lawyers who focuses on issues around health information technology I was surprised to read the article and learn about this West Virginia based company. I had not heard of them before. I plan to reach out to them and see how we might get them involved in the West Virginia Health Information Network and other West Virginia based health technology efforts. This company is another great example of creative West Virginians coming home to West Virginia to create a new economy in our state. The company also provide web-based access to the health information through its product called EvriChart Client Portal. The Thursday, March 13 Federal Register (74 Fed Reg 10743) contained a notice for submitting nominees to the new committees created under ARRA-HITECH (stimulus bill) for developing health information technology standards and policy. The two commitees will be called the HIT Standards Commitee and HIT Policy Commitee. Details on these committees and the type of stakeholder representation on the commiteeis outlined in the notice listed below. After seeing the notice I pushed it out to a variety of health colleagues via Twitter asking the question, "Who would you nominate?" The viral social networking nomination process was off and running and a Health Twitterstorm was started with many responses and recommended nominees. To view the process check out the tag #NominateHIT. Jen McCabe Gorman (@jenmccabegorman) started to aggregate potential nominees to be submitted by the deadline of March 16. She has generously offered to coordinate the response and submit them to the ONC. UPDATE: Jen McCabe Gorman aggregated all the nominees in one post. If you are interested in having your name submitted as a nominee - please follow the instructions by Jen listed in her post. Deadline for submission is today. John Wiesendanger, CEO of West Virginia Medical Institute, Inc.
and security, and on the electronic exchange and use of health information. the PHSA), which makes recommendations to the National Coordinator on the implementation of a nationwide health information technology infrastructure. The HIT Policy Committee will consist of at least 20 members. Three of these members will be appointed by the Secretary of the Department of Health and Human Services. Of the three members, one must be a representative of the Department of Health and Human Services and one must be a public health official. If, 45 days after the enactment of the Act, an official authorized under the Act to make appointments to the HIT Policy Committee has failed to make anappointment(s), the Act authorizes the Secretary of HHS to make such appointments. The Department of Health and Human Services is consequently accepting nominations for the HIT Policy Committee. New section 3008 of the PHSA allows the Secretary to recognize the NeHC (if modified to be consistent with the requirements of section 3002 and 3003 of the Act and other federal laws) as either the HIT Policy Committee or the HIT Standards Committee. At this time, the Department of Health and Human Services is evaluating options regarding the National eHealth Collaborative and its role in relation to those Committees. For appointments to either the HIT Standards Committee or the HIT Policy Committee, I am announcing the following: Letters of nomination and resumes should be submitted by March 16, 2009 to ensure adequate opportunity for review and consideration of nominees prior to appointment of members. ADDRESSES: Office of the National Coordinator, Department of Health and Human Services, 200 Independence Avenue, NW., Washington, DC 20201, Attention: Judith Sparrow, Room 729D. Please indicate in your letter or e-mail to which Committee your nomination belongs. ONC/HHS, Judith Sparrow, (202) 205–4528. 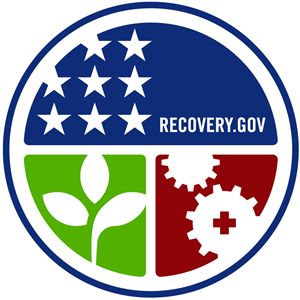 Authority: The American Recovery and Reinvestment Act of 2009 (Pub. L. 111–5), section 13101. National Coordinator for Health Information Technology, Office of the National Coordinator for Health Information Technology. The West Virginia Health Care Authority's 2008 Annual Report for FY 2007 is now available. The report summary was provided to the West Virginia Legislature by Sonia Chambers, Chair of the WVHCA. The report contains significant information about the state of health care in West Virginia. Overall, West Virginia hospitals remained relatively stable, reporting profits of $184.5 million or 4.4% of net patient revenue (NPR), up from $176.7 million (4.5% of NPR) in FY 2006. The total profit margin for the 35 general acute care hospitals increased by almost 1%, with profits of $165.7 million (4.4% of NPR), up from $123.8 million (3.5% of NPR) in the prior year. As a group, the profitability for CAHs continued to improve for the fourth straight year. The aggregate profit was $5.8 million (2.3% of NPR). In FY 2006, profit was $4.3 million (1.8% of NPR). The two facilities in FY 2007 reported a profit of $1.5 million (5.9% of NPR), a decline from the FY 2006 profit of $3.3 million(12.4% of NPR). The psychiatric hospitals had an aggregate loss of $8.3 million(35.8% of NPR), with the two state psychiatric hospitals losing $9.6 million combined and the two private hospitals earning profits of $1.3 million. The prior year’s overall loss was $702,000 (2.0% of NPR). The five rehabilitation hospitals showed a return to more normal profit levels with aggregate profits of $19.8 million (22.1% of NPR). In FY 2006, these hospitals reported an aggregate profit of $46.0 million (51.7% of NPR) due to the sale of a facility. The overall profit margin for the state’s 106 nursing homes increased by 1.5%. Aggregate profits of $44.8 million (6.5% of NPR) were reported, an increase over the $32.6 million (5.0% of NPR) reported in FY 2006. Aggregate net patient revenue increased $38.6 million in FY 2007; expenses increased $25.1 million. Overall, home health agencies reported total losses of $2.3 million on $84.1 million total revenue; 32 of the 66 agencies were profitable. Eleven home health agencies were acquired during FY 2007. Hospice profits for the 19 agencies were $8.3 million, compared to $9.1 million in FY 2006. Eighty-nine behavioral health providers reported aggregate profits of $15.1 million, 2.9% of total revenue; 57 of 89 facilities were profitable. The aggregate profit for the eight facilities was $6.1 million, 29.7% of total revenue. Eleven reporting certified ASCs had an aggregate profit of $5.2 million, 21.7% of total revenue. HealthcareIT News reports that Indiana University teams up with NoMoreClipboard.com to provide online personal health records (PHRs) to students at its Bloomington campus. More on launch of the new online PHR can be found on Indiana University's press release, including a link to the free PHR called "myHEALTH" on the Health Center's Web site.